Shella came to the home shortly after the earthquake. Her father had disappeared in Port-au-Prince, and her mother could no longer afford to care for all of the children in the family. In 2011, they found out that their father had not died in the earthquake as they thought. Unfortunately, he had left the family and has nothing to do with them today. Therefore, Shella’s mom turned to Mountain Faith Mission’s children’s home, as the family attended one of the MFM churches in Mirebalais. Shella and four of her siblings soon moved to Sodo to live full time at the home. Today, Shella and her sister Chantale and her brother Alex live in the home. Her sister Guerda and husband Herode live behind the girl’s dormitory with their son Matt, where they serve with MFM. 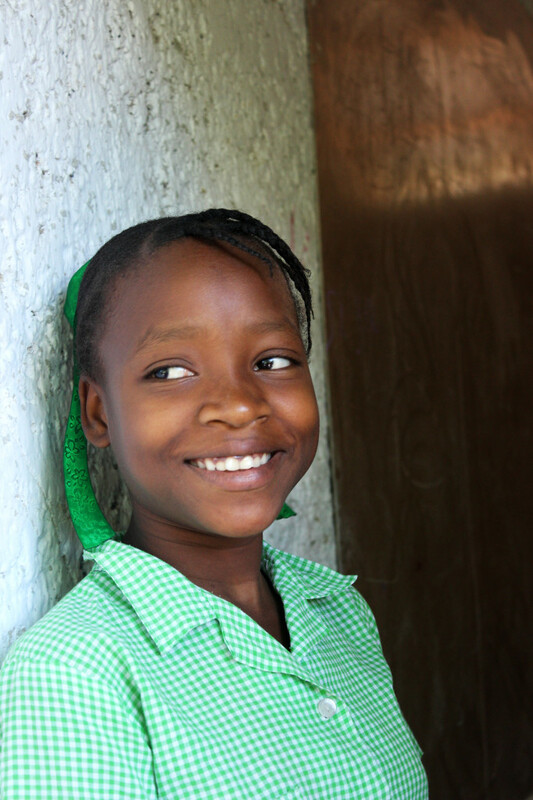 Her older sister Roselore, and older brothers James and Randy all live in Mirebalais, while her youngest brother Dade still lives with her mother. Shella can appear bashful at first, but she is always looking for ways to help. She likes to serve behind the scenes and simply spend time with visitors. Her smile is contagious, as is her sweet disposition. She loves to sing, and many times will be caught singing quietly.